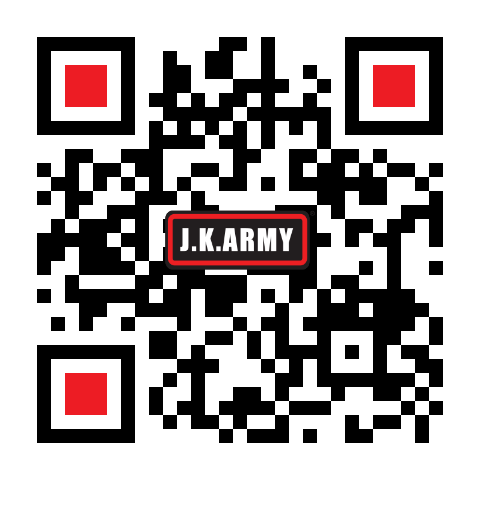 J.K.ARMY Privacy and Security Measure are designed to assist you-businesses, consumers and the general public-in understanding how we collect and use the personal information you provide to us, and to help you make informed decisions when using our web site and all of our related services therein. Information obtained through online registration or email is used solely for the purpose of purchases or product transactions in our company in order to process your shipments in a timely manner. We will not distribute, share or sell your information to any third parties in any ways for the protection of your privacy. We also automatically track certain information based on your shopping pattern on our websites. The information will be used for the purposes of managing and expanding our business activities and providing customer service. Occasionally, we may use the information to notify our customers about important changes to our Websites, new services and special offers we think you will find valuable. If you are under 18, please visit our website with your parent’s guidance. Dependency on your local law, airsoft may not be legally sold to or operated by children under 18. Please check with your local law before placing the orders. We use data service such as “Cookies” on the shopping cart system of the Site to assist you in shopping through our online store. “Cookies” are small files placed on your hard drive that assist us in providing our services. Most “Cookies” are “session cookies”, meaning that they are automatically deleted from your hard drive at the end of a session. You are always free to decline our cookies if your browser permits, although in that case you may not be able to use certain features on the Sites. Most likely, we employ your “Cookies” to keep track on your shopping cart for our recognition. We email you simply for the confirmation on your order and/or communication with you about the transactions. We send newsletters through email to our customers and members periodically to announce the latest airsoft products and services. If you do not wish to receive any promotional or marketing e-mails and/or surface mail marketing letters, you may opt-out of receiving those communications by by sending us e-mail with the subject line "Unsubscribe" to or e-mail address.